(EG/ENJ) (Calgary) 2008 - Current. Photos. Framable Color Prints and Posters. Digital Sharp Images. Aviation Gifts. Slide Shows. 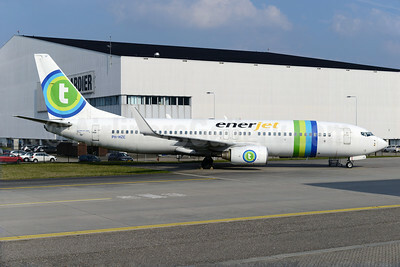 Enerjet (Transavia Airlines) Boeing 737-8K2 WL PH-HZE (msn 28377) (Transavia colors) AMS (Ton Jochems). Image: 922526. 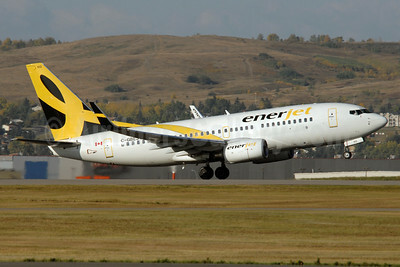 Enerjet Boeing 737-7BD WL C-GBEJ (msn 34480) YYC (Chris Sands). Image: 925653. 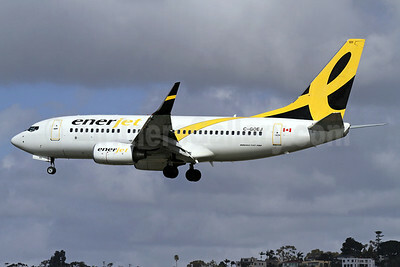 Enerjet Boeing 737-7BD WL C-GBEJ (msn 34480) YYZ (TMK Photography). Image: 905048. 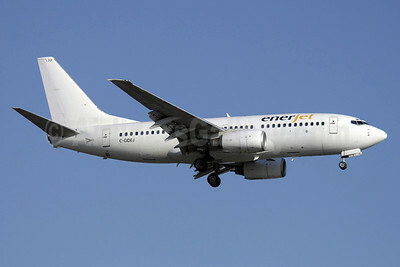 Enerjet Boeing 737-7BD WL C-GOEJ (msn 33920) SAN (James Helbock). Image: 904586. 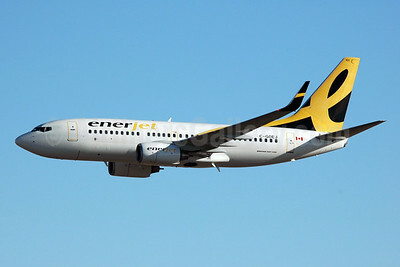 Enerjet Boeing 737-7BD WL C-GOEJ (msn 33920) YYC (Chris Sands): Image: 925654. 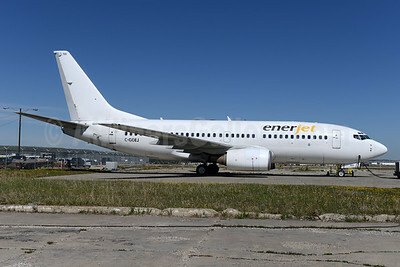 Enerjet Boeing 737-7BD WL C-GOEJ (msn 33920) YYC (Chris Sands): Image: 925655. 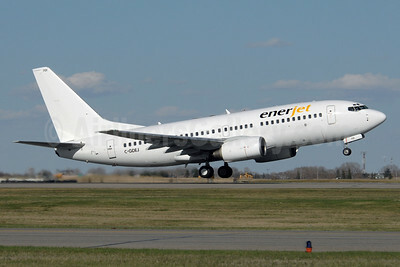 Enerjet Boeing 737-73V C-GDEJ (msn 32427) YYC (Chris Sands). Image: 925651. 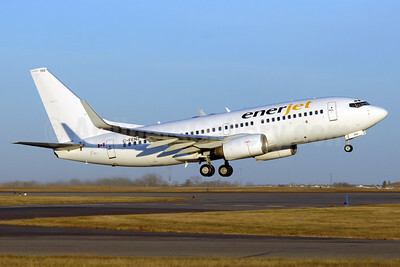 Enerjet Boeing 737-73V C-GDEJ (msn 32427) YYC (Ton Jochems). Image: 928276. 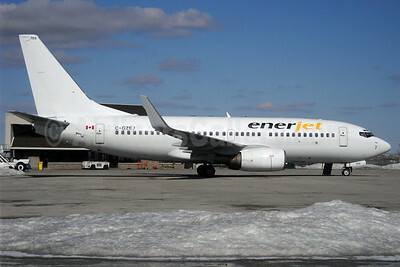 Enerjet Boeing 737-73V C-GDEJ (msn 32427) YYZ (TMK Photography). Image: 911653. 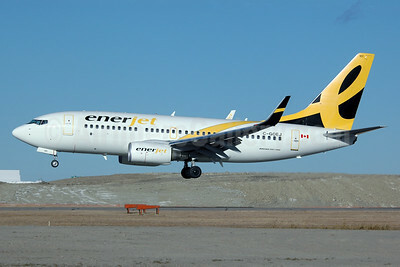 Enerjet Boeing 737-73V WL C-FENJ (msn 30244) YYC (Chris Sands). Image: 925652. 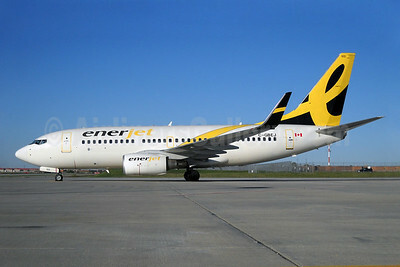 Enerjet Boeing 737-73V WL C-GZEJ (msn 30249) YYZ (TMK Photography). Image: 911654.